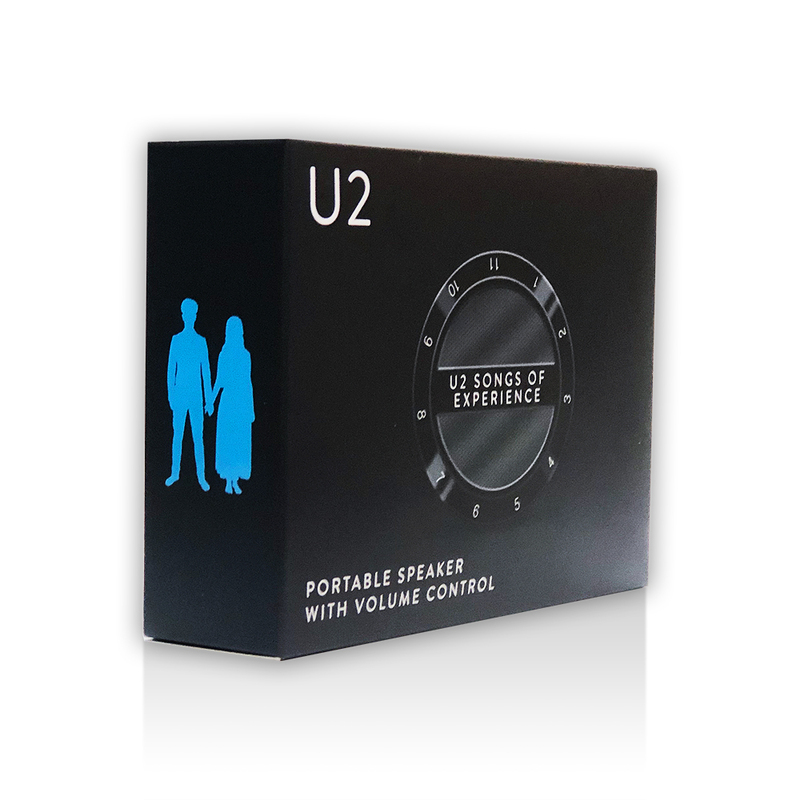 View Larger U2 Songs of Experience Magic Dial Speaker MiAmp Magic Speaker in Songs of Experience branded packaging. Simply place the speaker on the Smartphone, and it works without any settings or wireless connection needed. Sporting a playful touch with a volume button design, the speaker magically amplifies the sound from the Smartphone and allows adjusting the volume by rotating it. Compatible with most smartphones. Power supply USB rechargeable battery. Type of connection plug: 3.5mm and micro USB sockets. Comes with USB charging cable. Playing time 6 hours. Includes user manual in English. CE approved.